Nick is a business owner with many years of service in local government and is keen on the performing arts. He is based in Upper Hutt. 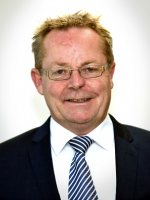 Nick Thomas was appointed to Wellington Community Trust (WCT) in 2012 and reappointed in 2016 for a second term. 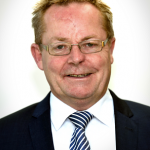 He has a strong background in local government having been an Upper Hutt City Councillor for 9 years. He was Chairperson of the Joint Hutt Valley Services committee for 6 years. This experience has given him a commitment to working with all areas of a community and ensuring everyone is represented. He has been involved as a trustee with a number of organisations to do with the flooring industry, roading initiatives, community grants and creative communities. Nick has lived in Upper Hutt all his life. He runs his own successful floor coverings business within the greater Wellington region. He enjoys music of all genres and takes a keen interest in the arts, and particularly the performing arts.